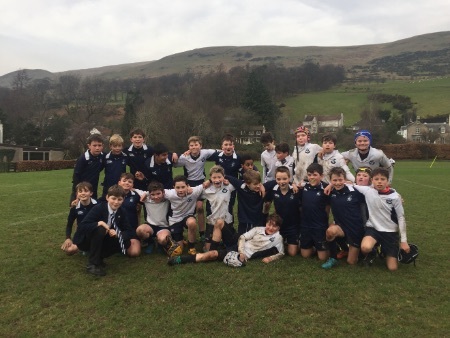 Conditions were perfect for a great morning of rugby at the Junior pitches this morning and the J2A team for the most part produced a performance to match. Having recently played Heriots the boys were aware of their style of play and strengths and weaknesses. The boys rushed into an early lead by repeatedly nullifying the Heriots ball carrier and turning the ball over which allowed us to play our fast rugby style which Heriots were unable to contain. Some of the interplay and support running between the boys was a joy to watch and at times it was the best rugby they've produced all year. Heriots come back into the game due to carelessness by the boys but they corrected their mistake and controlled the rest of the game.